Dubai’s ruler Sheikh Mohammed spent the time with his family. 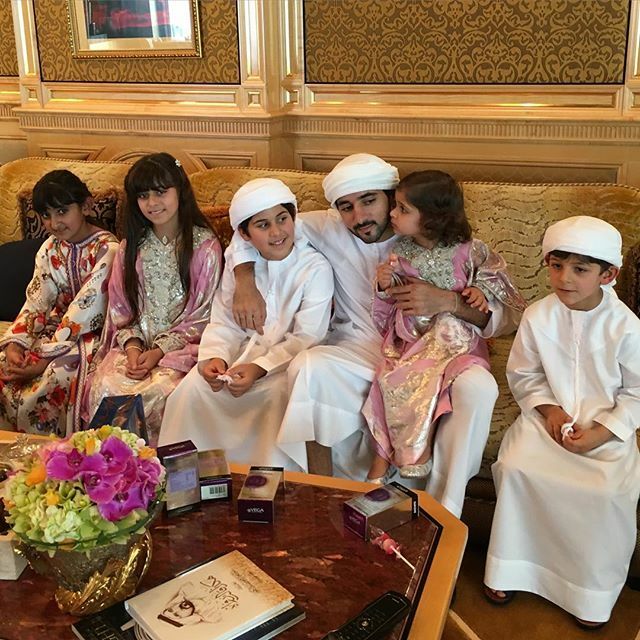 A candid picture of him with his grandchildren was shared on Instagram yesterday by Sheikh Hamdan, the Crown Prince of Dubai. Dressed in their finest, the younger members of the family happily posed for the shutterbugs. Sheikh Hamdan also went ahead and posted a message on his Instagram page, wishing Eid Mubarak to his 5.5 million followers. On Sunday, Sheikha Latifa and Sheikha Maitha, daughters of Sheikh Mohammed also took to Instagram to share Eid greetings. In another Instagram video from the past, the children from the royal family can be seen sharing Eid Mubarak greetings.